What is a Massachusetts Rental Application? Massachusetts Rental Application: What Is It? 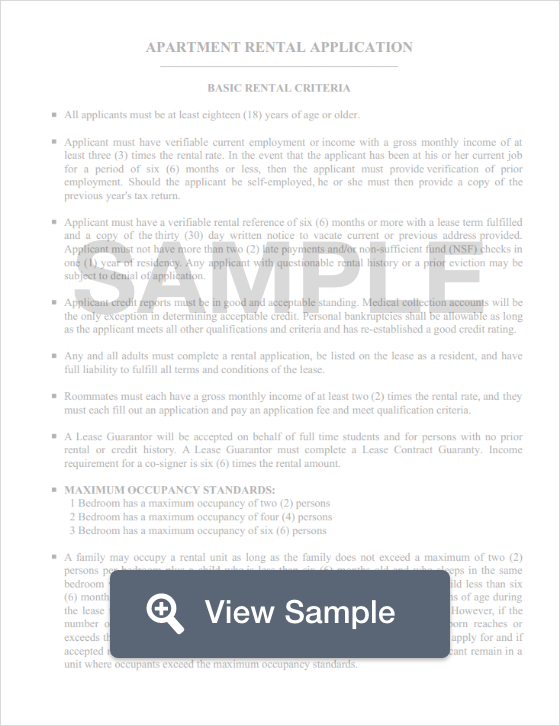 A Massachusetts rental application provides an organized method for landlords collecting information on potential tenants. This document allows landlords to uniformly collect information about the applicants who wish to move into their apartment or rental property. Rental applications collect personal and sensitive information and indicate to the landlord whether or not an applicant would be considered an ideal tenant. Landlords look at previous bankruptcies, past evictions, credit score and income as just a few of the criteria to help them find their ideal tenant. However, federal fair housing laws prevent them from excluding a tenant based on their sexual orientation, color, creed, disability, weight, race, religion or country of origin. Massachusetts delegates that a security deposit may not exceed the equivalent of one month’s rent. Additionally, the landlord must pay the tenant 5% interest per year or the interest paid by a Massachusetts bank. When the lease is terminated, the landlord has 30 days after the lease termination to return the tenant’s deposit (Mass. Gen. Laws Ann. Ch. 186, § 15B).